In a scathing attack on the Bihar government and its medical colleges, the Medical Council of India has said the state government through its chief secretary has been for many years giving undertakings that deficiencies in the colleges would be removed, but it never happened. Criticizing the state government, the MCI in a letter to the state government recently said its teams inspected colleges for the 2015-16 session. Though the chief secretary had given an undertaking the previous year, the inspection teams found the deficiencies were still "gross in nature that could not be brushed aside". "This demonstrates that your state government failed to honour its commitment to remove the deficiencies. However, keeping in mind the interest of the students, the colleges got a nod for the ongoing 2015-16 session," the letter says. The MCI will not accept any undertaking for the session 2016-17. "Failure to comply with the norms shall lead to negative recommendation for which the responsibility shall lie solely on your government," the letter states tersely. 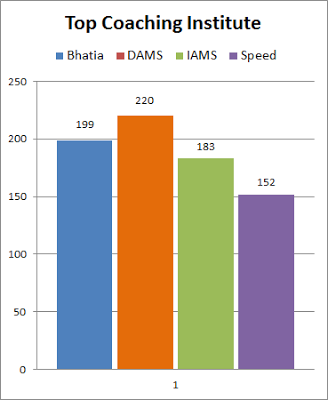 What has angered the MCI is lack of faculty more than infrastructure. It usually allows colleges to run courses even if they have 10%-15% faculty shortage. But the state's most premier health hub, PMCH, has reported 22.85% faculty shortage for the upcoming 2016-17 session. Some other colleges are reported short of faculty by over 40%. A negative MCI recommendation would mean shutting academic activities at the newly opened Vardhman Institute of Medical Sciences (Pawapuri) and Government Medical College (Bettiah) which have 100 seats each. 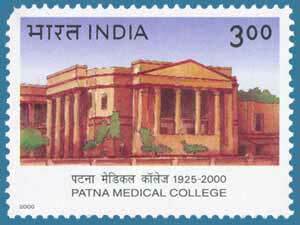 The Patna Medical College could end up with 100 seats, reduced from 150. The NMCH in Patna and the medical colleges in Muzaffarpur, Gaya and Bhagalpur will lose 50 seats each. The Darbhanga Medical College will lose 10 seats. The letter brings it on record that these state-run colleges may end up producing half-baked doctors. "The lack of infrastructure, faculty and other human resources leads to churning out of half-baked doctors, who are clinically not trained to meet the requirement of medical profession, thereby posing risks to human life," it says. The shortage is at all levels - assistant professor, associate professor and professor. To tackle faculty shortage, the state government increased the retirement age of doctors from 65 to 67 years recently. However, that does not seem to have impressed the MCI. Meanwhile, a section of doctors are up in arms, saying they have not been promoted for years and claiming the problem of shortage of faculty at associate professor and professor levels would have been resolved had the government given them promotions in time. There are 65 associate professors waiting for promotion to the post of professor whereas the vacancy at the top most level is only 30. Promotion to 30 doctors can solve the problem of deficiency at the professor level. Now, if 30 associate professors are promoted, an equal number of posts will fall vacant at the level of associate professor. If one adds these 30 vacancies to the existing 75 vacancies at this level, the number of required associate professors calculates to 105. There are 143 assistant professors who are also waiting for promotion to the post of associate professor.